Books from the Stuart Hall Library, chosen by Carson Arthur. Please see below for links to the catalogue. Text by guest blogger Carson Arthur, Stuart Hall Library Volunteer. As I near the end of my final year studying BSc Social Sciences at Birkbeck University, I have been volunteering at the Stuart Hall Library for the past month and recently have been reading from the collection about Black domestic servants in English colonial portraiture. This interest came about after visiting Portchester Castle, Portsmouth, where an exhibition on Caribbean prisoners of war from the Age of Revolutions is permanently on display. Inspired and supported by the Haitian and Guadeloupian Revolutions, Saint Lucians in the late 1700s lead insurrections against the French and the British who both were fighting for sovereignty of the island and to reinstate slavery. “On 26 May 1796”, English Heritage accounts, “the French garrison holding Fort Charlotte on St Lucia surrendered to British forces commanded by Sir John Moore. […] The terms of their surrender ensured that they would all be treated as prisoners of war, rather than as slaves, […] The garrison consisted of mainly local black soldiers, with a smaller number of European French soldiers. There were also women and children among them”. The prisoners were captured and, following the Middle Passage, deported to Portsmouth. At least 268 prisoners and 100 British soldiers died in the five months at sea. According to records, in total 2,512 prisoners survived the journey: 333 White people; 2080 Black people; 99 women and children – English Heritage do not state if there is any information on the race of these women and children. English Heritage congratulate themselves for discovering the names of the prisoners but a single panel of the exhibition lists only a few of the leaders. They do not mention the women of the revolution, not of the common citizens, the workers, the enslaved, the rebels. The exhibition idolises the popular notion that only an elite of male leaders fight revolutions, and keeps the Black presence as an unnamed figure. At the centre of the exhibition is a life size model of a sinking boat, with three Black figures. At the front of the boat, a man stands with one foot on the gunwale, his flat hand capped over his searching eyes. Behind him, near where the unbalanced boat drops and the other half disappears, a small young boy is sat on the bottom boards, with a blank, sort of translucent expression, crossed arms fastening his bent knees. Outside the boat, a woman is going under, submerged up to her thighs in water, stuck in the floor of castle’s wooden floor, holding onto a length of rope. Presumably, the principle figure, the man, is a leader of the revolution, someone like Louis Delgrès who was a ‘prisoner of war’ at Portchester, and, conforming to patriarchal representations of the family, the boy fits the role of his son – or is he also his younger self, his inner child? – and the woman his wife and mother to the boy. Women and children were also imprisoned at the castle, but the women too were revolutionaries, not merely wives and mothers. I wonder what happened to those yet to be named, who were dispersed in England. How did they continue to fight for liberation away from the battleground, away from home? How did they survive? In the introduction to their edited book Blacks and Blackness in European Art of the Long Nineteenth Century, Adrienne Childs and Susan Libby propose, “many who were brought to Europe from Africa or the Caribbean as slaves, servants, or ethnographic entertainment, found their way into artist’s studios”. As part of the exhibition’s promotion, by using Emile-Jean-Horace Vernet’s 1830 sketch of the ‘unknown French soldier’, is the English Heritage suggesting this young man could have been a former prisoner? This is, of course, fanciful and unhelpful. Any depiction of a Black figure in colonial painting should call into question any claim of a ‘Black presence’. For, as Kim F. Hall elaborates in Things of Darkness: Economies of Race and Gender in Early Modern England, commenting on Alert Boime’s thesis, “the inclusion of Africans in Western art in many cases merely serves to demonstrate their exclusion from Western culture”. In the English portraiture of colonizers, slavetraders and slaveholders, what is the Black presence, when the Black figure is not fully present, is not completely whole, when the presence is merely in the background, something darkening the air? As Hall observes, the Black domestic servant in English paintings of the 1600s and 1700s is “a liminal figure who inhabits edges, corners, and shadows and thus never fully “participates” in the painting”. In the portrait of Cecil Calvert by Gerard Soest, the Black domestic servant to the left appears tied to the red curtain behind him, almost a part of the curtain, head tilted down, drawn to the map of Maryland that Calvert, second baron of Baltimore, holds with his child. As a commodity, a “decorative signifier” of wealth, a Black figure appears only because the white master is before us. As Stuart Hall argues, the Black figure in portraiture conjunctures with English identity as white. Furthermore, the Black figure ungendered, “leaves the sitters free to construct masculinity and femininity. In this dynamic, blackness paradoxically deflects attention from whiteness as a racial construct while at the same time making it highly visible”. A segment of the family coat of arms comes alive, dressed in a livery of the finest fabrics from colonised countries as far as themselves, with a gold collar around their neck. Black figures, in all the trappings of domestic servitude, were depicted as receiving a quality of life better than the ‘poverty’ of their home country, to justify not only their subjugation but the industry and institution of slavery itself. In Picturing Imperial Power: Colonial Subjects in Eighteenth-Century British Painting, Beth Tobin comments on Johann Zoffany’s portrait of the family of slavetrader Sir William Young: “The black servant’s presence reminds us of Sir William’s West Indian legacy but immediately transforms that brutal colonial power into an elegant, graceful, and refined celebration of English art, music, and domestic life”. There is a type of elegance and grace at play, when, on their website, English Heritage proposes, “it could be argued that in some small way their imprisonment at Portchester Castle, where they were treated as prisoners, not slaves, allowed them to continue their struggle for equality and recognition”. However, Saint Lucian insurgents were not treated like prisoners by the British but slaves lost at sea. Apparently because the guards of the castle couldn’t – wouldn’t – stop the European prisoners from robbing the Caribbean inmates of their clothes and bedding, it was decided by Dr Johnstone to transport the Black ‘prisoners’ onto prison ships, anchored at the Portsmouth harbour. Torn away from fighting for their independence and sent to the country of the colonial power they were captured and deported by, the Saint Lucian insurgents were not even detained on the soil, but held away from the mainland, kept at sea, as though their passage was never to come to an end. The three figures on the sinking boat is a recreation of the Black presence. It is not unlike the Black presence in English colonial portraiture in that the modelled figures are unidentifiable, standing in – certainly the male figure functions in this way more than the boy and woman – for the countless, the uncounted, African and Caribbean people whose lives were made non-existent in slavery, and killed in the fight for liberation. When the enslaved remain unnamed but they are recalled, they are invoked but only as a presence. For the Portchester Castle exhibition, the Black presence is recreated, as a model, for the recreational purpose of a day out activity. For historical studies on Guadeloupian and Saint Lucian Revolutions, see Dubois, Laurent. (2001). “The Promise of Revolution: St. Domingue and the Struggle for Autonomy in Guadeloupe, 1798-1802”. In: The Impact of the Haitian Revolution in the Atlantic World. (ed.) Geggus, David. Columbia, South Carolina: University of South Carolina Press; Gaspar, David Barry. (1997). “La Guerre des Bois: Revolution, War and Slavery in Saint Lucia, 1793–1838”. In: A Turbulent Time: The French Revolution and the Greater Caribbean. (eds.) Gaspar, David Barry, and Geggus, David Patrick. Bloomington, Indiana: Indiana University Press. For feminist criticism of patriarchal perspectives in historical studies of Caribbean revolutions, see the Introduction of Fischer, Sibylle. (2004). Modernity disavowed: Haiti and the cultures of slavery in the age of revolution. Durham: Duke University Press; Hartman, Saidiya. (2007). Lose Your Mother. New York: Farrar, Straus and Giroux, pp. 91-96, on St. John revolt. For feminist history studies of Caribbean revolutions, also see, Fuentes, Marisa. (2016). Dispossessed Lives Enslaved Women, Violence, and the Archive. Philadelphia: University of Pennsylvania Press; Cooper, Anna Julia. (1988). Slavery and the French revolutionists (1788-1805) Lewiston, New York: Edwin Mellon Press. Childs, Adrienne, and Libby, Susan. (2017). Blacks and Blackness in European Art of the Long Nineteenth Century. London: Routledge. Marsh, Jan. (2005). 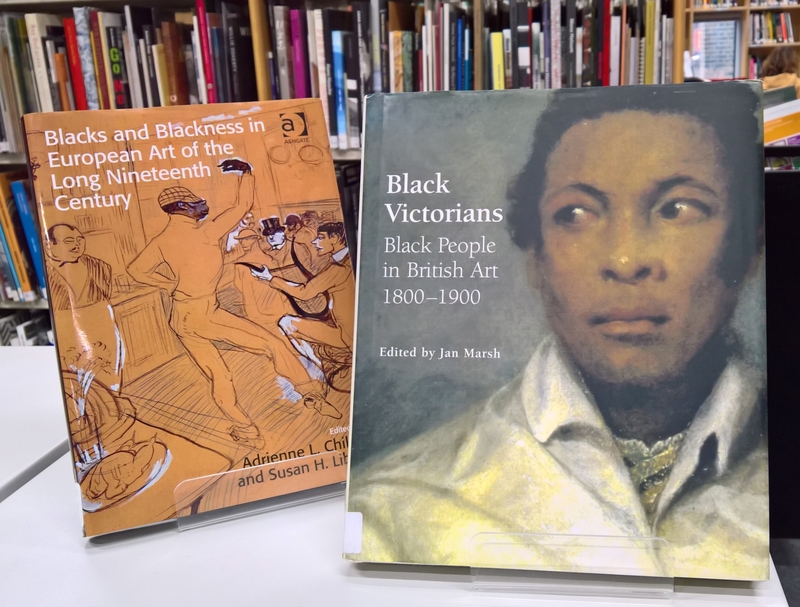 Black Victorians: black people in British art 1800-1900. Aldershot, Hampshire; Burlington, VT: Lund Humphries.